Our scope of services entails the management of office, retail, industrial, and residential properties in portions of the the San Francisco Bay Area and Central Valley. 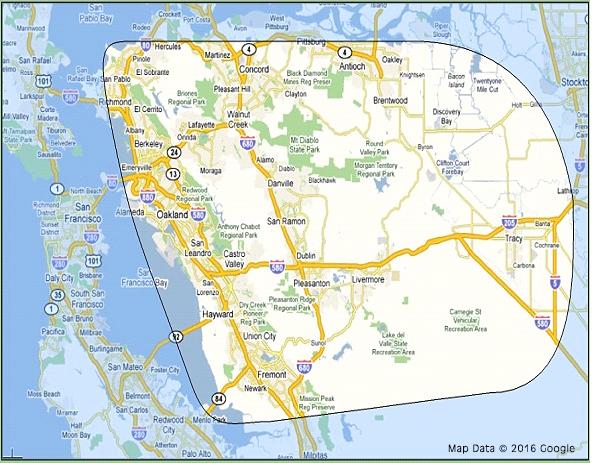 We serve a large territory from North Santa Clara County to north Contra Costa County, extending east to West San Joaquin County. This allows us to offer owners and investors an extensive variety of investment opportunities in a wide spectrum of properties and areas. For areas out of our immediate territory, we network with successful professionals that can provide the same quality service you can expect from us. Also, we will be involved in the transaction from the beginning to the end and beyond.